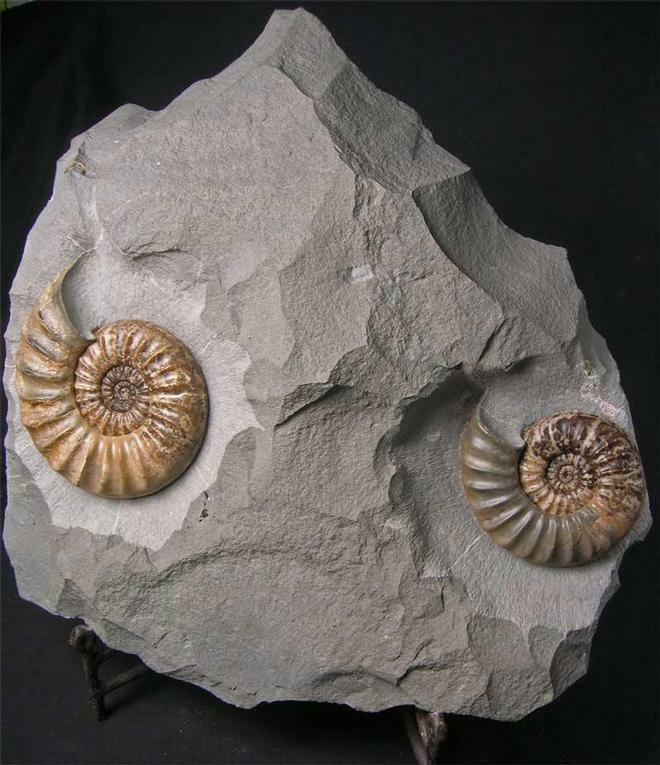 This highly aesthetic display fossil exhibits two totally complete ammonites which have been preserved in different shades of brown calcite and hae immaculate centres. This flatstone nodule was found at the famous "Dead Mans Tree" area of Black Ven, the very best preserved fossils are found here. 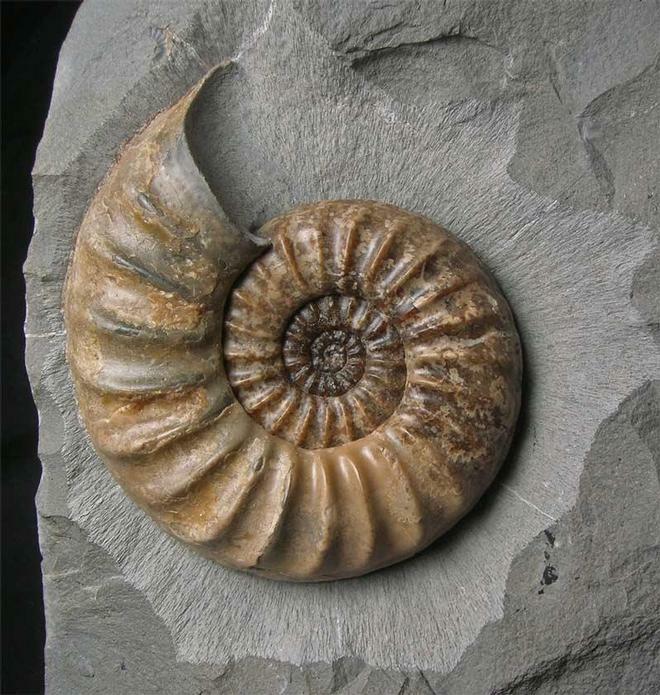 This specimen was discovered in 2009 and many hours have gone into its preparation. 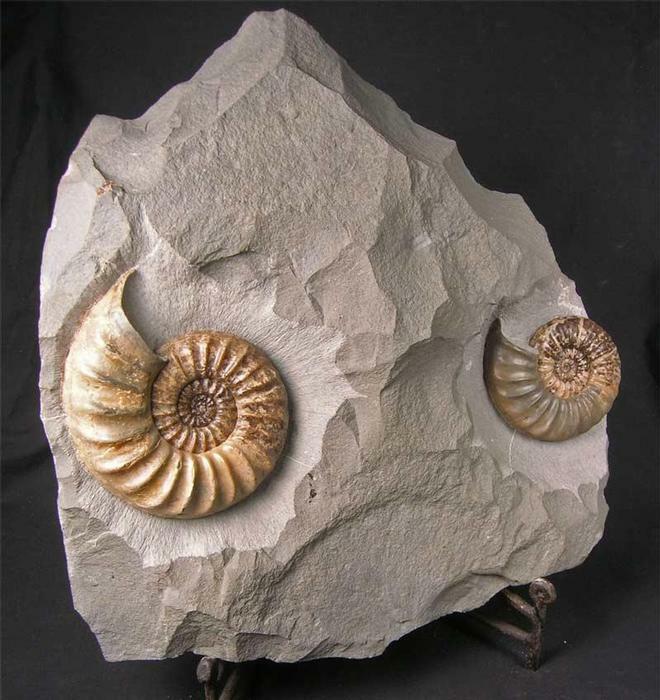 The fossil comes with a bespoke and sturdy wrought iron display stand. 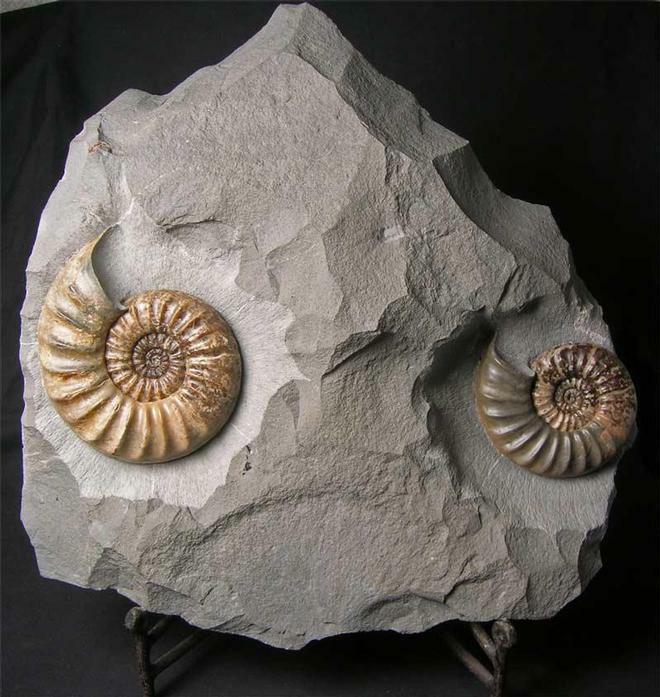 A fantastic and unique display piece for the home or office space which is approximately 200 million years old.